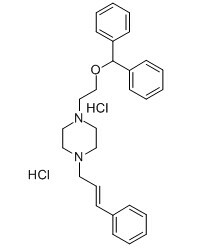 GBR 12783 dihydrochloride is a very potent and selective inhibitor of dopamine uptake (IC50 for inhibition of [3H]-dopamine uptake in rat striatal synaptosomes is 1.8 nM). 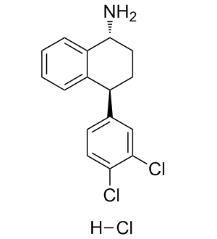 Desipramine hydrochloride is an inhibitor of norepinephrine transporter (NET), 5-HT transporter (SERT) and dopamine transporter (DAT) with Kis of 4, 61 and 78,720 nM, respectively. Bifeprunox, also known as DU-127090, is a partial dopamine and serotonin agonist potentially for the treatment of schizophrenia.Active as an antipsychotic compound through activation of the serotonin 5-hydroxytryptamine (5-HT)1A receptor. 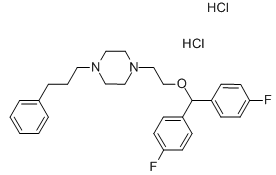 Diclofensine (Ro 8-4650) is a a triple monoamine reuptake inhibitor. GBR-12935 is a piperazine derivative which is a potent and selective dopamine reuptake inhibitor. 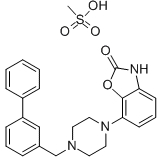 GBR 12935 2Hcl is a potent, and selective dopamine reuptake inhibitor. Bupropion is an antidepressant, inhibiting the neuronal re-uptake of dopamine and blocking uptake of serotonin and norepinephrine. 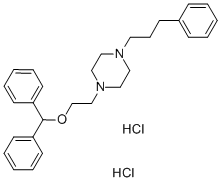 Vanoxerine 2 Hcl(GBR12909) is a potent and selective DRI (Dopamine reuptake inhibitor).